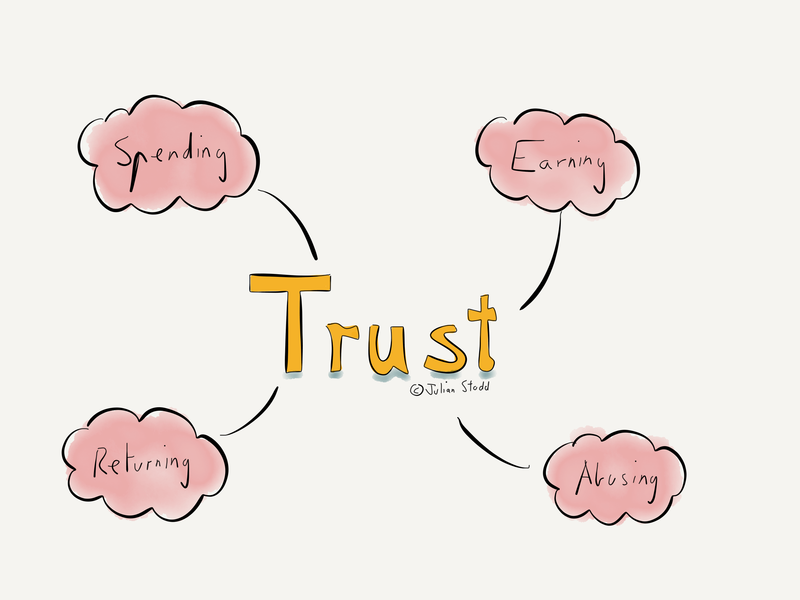 I’m starting some early stage research and writing about trust, primarily to explore the impacts of trust on the different Social aspects of the organisation, and to envision the typical ways that trust is built, earned and squandered. I’m starting with some survey work, to distinguish between ‘types of trust‘. The hypothesis is that there is ‘functional trust‘, the belief that the organisation will pay you, for example, and other types of higher order trust. Functional trust is almost taken for granted if we bother to turn up to work, but the higher orders of trust are more valuable and more vulnerable. My hypothesis is that higher orders of trust are needed in the Socially Dynamic Organisation. I will #WorkOutLoud on these ideas as i evolve them out over the coming weeks. This entry was posted in Trust and tagged Community, Honesty, Leadership, Social Leadership, Socially Dynamic Organisation, Trust, WorkingOutLoud. Bookmark the permalink.